Nearly all avid baseball fans have heard tales of pre game rituals past and present, famous baseball players perform(ed), such as eating the same meal before every game, or even going as far as wiping down their favorite bat with rubbing alcohol in order to keep it cool during the long hot summer. I’m somewhat embarrassed to admit it, because it was dangerous and rather stupid, but there were times I was so sub-consciously engrossed in reviewing my game strategy, I didn’t remember driving to the ball park until I actually entered the entrance. 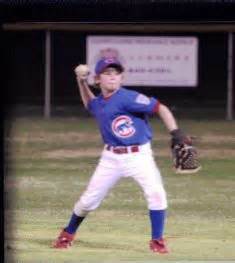 Remembering everyone has their own style and organizations may differ in operation, we’ll present a well designed Pre Game Procedure which addresses 99% of a regular youth baseball teams’ requirements. After becoming comfortable and more experienced, I urge you to experiment, to develop your own particular style which sets you apart from other coaches. All the players, parents and assistant coaches, if you have them, have No real concern about preparing for the night’s game except to get to the park on time. However, before the Head Coach, (You) pulls out of the driveway to head to the park he has already performed numerous coaching duties, which the mishandling any one item could have a negative affect on his team’s performance. 1. Prepare at least a 5 gallon jug of cold water and have a package of cheap paper cups. 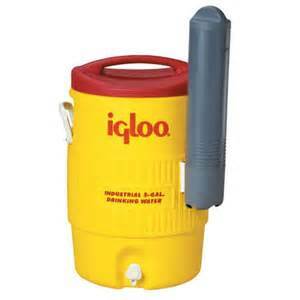 A water container similar to what you see used by construction crews, plastic with handles, is an excellent choice. Remember, even in weather which is not scorching the players are exerting maximum effort and cold water quenches thirst better than temperate water. Buy a bag of ice and fill with tap water, it’ll be ice cold by game time. P.S. 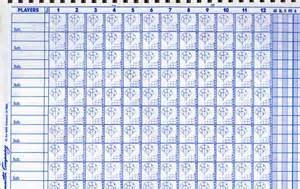 Do not place all the paper cups out at one time because they’ll all end up on the dugout floor before the 2nd inning. In extreme heat and humidity, like a double elimination tournament on a Saturday with a 100 degree temperature and no breeze, it’s advisable you have cold water in a metal wash tub, or similar container, separate of drinking water, with several towels or rags which the players can use to cool themselves. 2. Check the Equipment Bag to insure everything is in it. Sure you haven’t touched it since the last game or practice, but maybe your player has. Perhaps he/she took the catchers mitt out to practice with a buddy and now it’s laying on his bedroom floor under some clothes. Suddenly you’re at the ball field with NO catchers mitt. Sure the other coach will probably lend you one to use, but most likely it’d be a tattered 10 year old mitt which won’t properly fit your catcher, putting him at a huge disadvantage. Therefore, always have at least 2 sharpened regular #2 wooden pencils for your scorekeeper to use, and as a back up, have an ink pen available. Worse case scenario you’ll have to scratch through an entry instead of erasing it. We’re not trying to be professionals here, we’re more concerned with the score. 4. Make sure you have Game Balls. Some organizations require the Home Team to provide at least 2 New Game Balls, others an indefinite number. Some require both the Home and Visiting team provide a new game ball. Whatever the common practice of your league … be sure to have the proper type and amount of baseballs. You’re now ready to pull out of the driveway and head to the park. 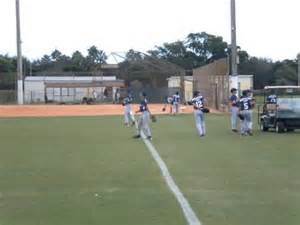 All players are to be at the ball park and ready to play at least ½ hour before game time. You can set whatever time you wish, but I’d never go less than a half hour. There’s nothing worse than having your anticipated starting pitcher not show until 5 minutes before the game's starting time. and if you do, would you start the pitcher who just began throwing or have your intended starter attempt to quickly warm up if he showed. With the advancement of cell phones and other communication devises, today’s Coach does have an advantage their predecessors did not … mobile communication. However, stress phone calls are for emergencies only, such as a rare unexpected traffic snarl due to an accident, otherwise people will abuse the option. Besides, there are many other reasons for being at the park early other than calming the Coach’s nerves that he can field a team. Those reasons take us to the next step. One must take note, that for the most part, every player, coach and parent are coming to the park from another activity, whether it be school, work or the carnival. Their minds are still racing from the previous activity, the rush preparing for the game or the hectic drive. It’s imperative you calm their minds in order to focus only on the task at hand, Playing Baseball. Unless you are the first game of the day, don’t ever count on an orderly or timely transition from the game before you because there are just too many unknown variables. It just doesn’t seem to ever happen. Most likely the previous team will vacate the dugout, and the losers always take forever, you’ll put your equipment and accessories in it, and the Umpire will be calling the coaches to the plate for ground rules. Never count on or wait for the proper allotted time to prepare your team for play! So how do we handle the situation? A. Take your team, and coaches, away from the activity of fans and the game. Take them down the left or right field foul line, well inside foul territory, or an area behind the backstop, an isolated area in the parking lot… anywhere to start gathering their wits and begin concentrating. B. Have the team perform a short routine of stretching and warm-up exercises. I personally wasn’t a fan of organized exercise, we weren’t the Marines. Simple stretching of arms, shoulders, legs and a brief running in place to warm the muscles will do the job. C.Have the players begin throwing in order to loosen their arms, beginning with @ 70 feet, 90 feet then to whatever limits the facility sets. Always have your starting pitcher and catcher paired. As you watch the team throw, Talk to your pitcher. “You feel OK?” ……… “Ready to go tonight?” Sometimes what a player says tells you more than watching his mechanics. If the players are young, either you or another coach should decide when he should begin warming up in earnest preparing to pitch, otherwise allow the player to decide when he’s ready. *** A caveat here. 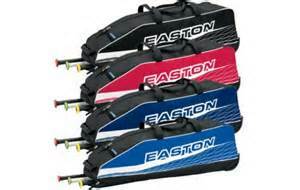 There may be a time the baseball park has no vacant space to prepare your team. 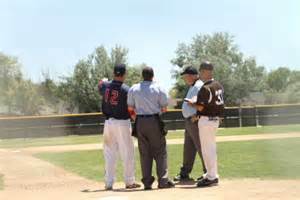 Don’t ever allow an umpire or opposing coach to force your pitcher onto the field before he’s ready. I’ve seen umpires demanding teams begin play immediately in order to remain or get back on schedule because of previous games going over the time limit. Be cordial, but Don’t allow it. It’s more than a matter of pitching well, it’s a matter of injuring the arm. D. After they’re warmed up, gather your team in the dugout for instructions, and insist they are quiet while listening. 2. Tell the players where they are to play … Older teams become pretty well set on their defensive alignment, but younger players should be moved around for experience and to see if there’s a position they may have a natural talent for. 3. If there’s any specific instructions you want to relay, now’s the time to do it. Such as telling the players you’ll be having them steal on this catcher a lot, or calming their fears if they see that the opposing pitcher has a blazing fastball. You’ll adjust during the game as situations arise, but start somewhere. 3. Mandatory slide rule is or is not enforced … etc. 4. Verify if there is a time limit and ask how it's determined. Normally the home plate umpire will have the official clock and will call out the starting time after the first pitch. Ask for the time if the umpire fails to announce it. Don't assume time doesn't mean much in baseball. It will be critical at times. You have successfully accomplished a Great Pre Game Strategy. 2. You have insured your players comfort and health by providing cold water and towels if weather dictates…. 4. You’ve made sure your scorekeeper and the umpires are happy…. There’s nothing left to chance … nothing left to do, except … Play Ball ! !